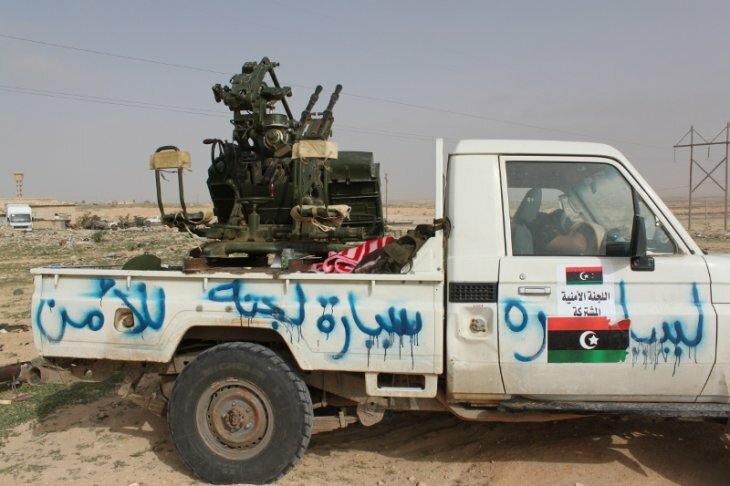 The Norwegian government must have known that the 2011 bombing campaign in Libya could lead to the fall of Muammar Gaddafi, argues PRIO researcher Kristian Berg Harpviken. In light of the recent release of the commission’s official report on Norway’s participation in the military operation in Libya, Harpviken was asked to comment in an interview with the Norwegian daily newspaper Klassekampen. Harpviken claims the report is an important piece of work that should be used to inform debates on how Norway makes decisions about when to engage in international military operations – but that it also leaves us with unanswered questions. This blog post is an English translation of the Klassekampen interview. The report on Norway’s involvement with Libya in 2011 was released on Sept. 13. The commission behind the report was led by former Conservative politician Jan Petersen. The report confirms that Norway lacked independent information when deciding to engage in Libya, and shows the decision was based on what was known from other countries and NATO. Norway was at the forefront of NATO’s operation, and bombed the country from March 24 to Aug. 1, 2011 together with seven other countries. Norwegian planes dropped 588 bombs, accounting for between 15 and 18 percent of the bombing before the government put an end to the operation. The bombing raids helped rebels overthrow Muammar Gaddafi’s regime. Libya has been unstable since. Q: Norwegian politicians decided via SMS that Norway should spearhead the war against Libya. The result was civil conflict, chaos, and refugee flows from what used to be one of Africa’s most functional states. The official commission evaluating the Norwegian engagement in Libya concluded that we need to make checklists before we go to war next time. Do you think the state report presents a sincere and honest evaluation? A: It is important that this is properly evaluated, and it’s not surprising that the tone of the report is diplomatic and careful. But the report both sheds light on and critically addresses the challenges that Norway faced, and will face again. If you want to show off and demonstrate how great an ally you are, the danger of making rash decisions increases. Q: The report emphasizes that the government’s decision to engage in the Libya operation was made in a formal Council of State on March 23, and that constitutional law was therefore fulfilled, even though a more informal endorsement had already taken place. But at that time the Norwegian fighters were already ready and waiting just off the coast of Libya. Wasn’t the decision of the Council of State just rubber-stamping? A: A decision of this magnitude should have been part of a broader political process, as is also acknowledged in the report. Even though the commission absolves the decision process by referring to the Council of State, it is nevertheless sound in its recommendations, and even calls for a constitutional amendment to ensure that such decisions are carried out in a more rigorous way, with broader political consultations in the future. One can choose whether to read this as mild or strong criticism. Q: Some ministers have since come forward and expressed regret, but the commission underlines that the decision was unanimous and that no disagreements were recorded. Shouldn’t these have protested at the time? A: I believe the political mood at the time was such that this appeared to be the only possible course of action. This was first and foremost a response to the threat of genocide and the legacy of Srebrenica. Concerns about something is not the same as being fundamentally opposed to it. The Socialist Left Party (SV) and the Centre Party (SP) quite quickly voiced concerns, and this led to Norway pulling out in August while military operations were quite intense. To pull out so early on was a dramatic decision, and I think that this is under-communicated in the report. Q: Did NATO violate the UN resolution on a no-fly zone over Libya by overthrowing Muammar Gaddafi, as Russia and the African Union claim? A: As I see it, regime change is not in line with the resolution. Many countries at the core of the operation certainly wanted regime change, and this was discussed in the UN Security Council which then adopted a resolution that did not allow for it. The commission’s reasoning on this point seems a bit strange. They express that regime change was a natural consequence of the operation, while at the same time claiming that the government could not have foreseen that this would happen. That is a logical contradiction. Even though regime change was not their intention, they must have known that it would be a likely implication, and this is something the government cannot easily abdicate responsibility for. To some extent, Norway had learned from experiences in Afghanistan – where it was never able to properly exhibit that one was a loyal ally who was willing to deliver. Q: The evaluation doesn’t give any answers as to why Norway chose to take on a leading role in the war, instead of being more reserved and hanging back? A: I agree that that question remains unanswered: the report only evaluates whether we should have been involved in the war or not, and whether the decision was in line with the UN resolution. They don’t problematize why we – going completely against Norwegian tradition – acted so zealously and went in with heaviest instruments weapons in its military toolbox, and why we did so earlier than nearly anybody else. It is impossible to interpret this in any other way than that strong voices in the government were eager to show that Norway was “best in class” within NATO. To some extent, Norway had learned from experiences in Afghanistan – where it was never able to properly exhibit that one was a loyal ally who was willing to deliver because one ended up in the middle of it all among many other players. Q: Could the explanation be that by taking a leading role Norway could help strengthen Jens Stoltenberg’s chances of becoming Secretary General of NATO? A: I don’t know if his candidacy had come up at that point. I think it was more about strengthening Norway’s standing within NATO, and especially in Washington D.C.
Q: Was there a real danger that Gaddafi was going to commit genocide, or were we misled by rebel propaganda? A: I think it’s hard to say whether there was a real danger of genocide, but it’s easy to say that people were misled by the rebels. At the very least, these threats were marketed in an effective way. The report criticizes Norway for not having secured an independent source of information, and basing decisions exclusively on others’ information. But that’s simplifying matters. Norway knew that the UN, NATO, and other countries lacked basic information, and that means one cannot simply say that Norway trusted the analysis of others. At the time, there was very little expertise regarding what was really happening in Libya, also among scholars. That made decision-makers vulnerable to manipulation, and the National Transitional Council (NTC) in Libya seized that opportunity. Q: What can we learn from the Libya operation? A: There are several lessons. There must be an acceptable level of knowledge and competence before entering a conflict. If you want to show off and demonstrate how great an ally you are, the danger of making rash decisions increases. Such a serious choice needs to be well anchored with both citizens and politicians. A small group of politicians cannot decide such things alone. In addition, there is a need to clarify the legal basis of the situation, so that it is clear what kind of conflict you are formally part of. This will have implications for the soldiers’ status, and their possible legal responsibilities and susceptibility for criminal prosecution. Another issue is that there is a discrepancy between being a zealous participant, and not having much influence on the upper political and strategic level. That’s a structural dilemma for a small ally like Norway.